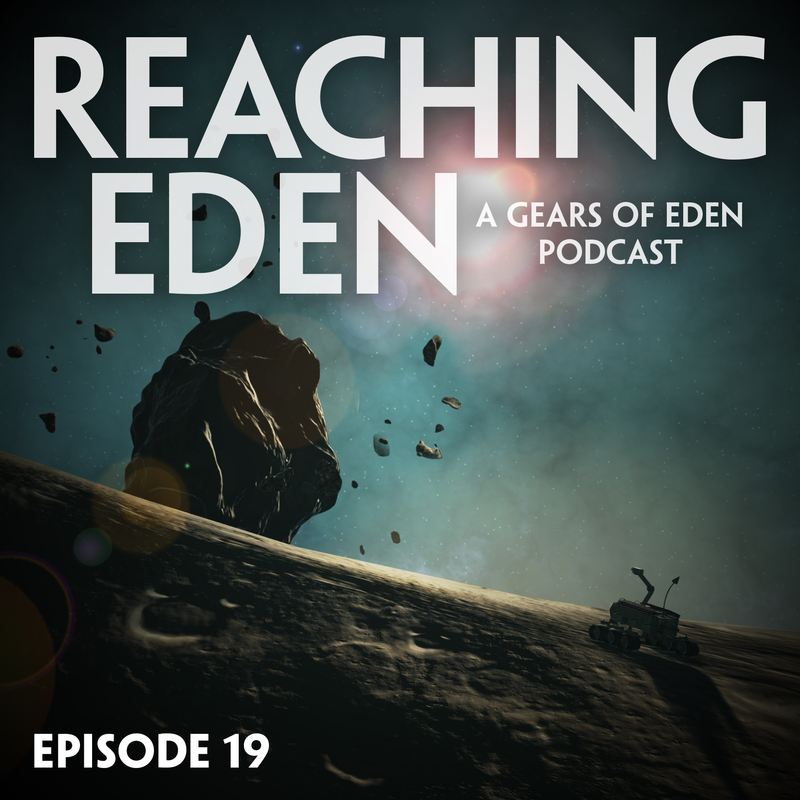 It’s time for another episode of Reaching Eden, the gaming and inspiration podcast from the creators of space-bot adventure game, Gears of Eden! In Episode 19, we start things off with the latest Gears news and updates. Of course, we discuss our Alpha 1.5 release and the upcoming lore items that will be featured in Alpha 2! If you’re interesting in playing Gears of Eden alpha, please look at our early access page. In our creative inspiration segment, we have a lot of fun discussing Ogr3Magi’s Twitch stream of Gears of Eden Alpha 1.5! We also take a look at a video on Celeste’s approach on teaching game mechanics. When then branch out and discuss Seinfield’s shoe, Comedians in Cars Getting Coffee. But, most importantly, we finally have an on-air discussion about the brilliance of Snoke’s Throne Room design in The Last Jedi. And we wrap up as usual with a discussion on games plays (or watched)! This includes Sea of Thieves via Takon_TV’s stream, Superflight, and Sonic Adventures. We hope you enjoy the show! As always, we’d love to hear from you on Twitter, Facebook, Patreon, or Twitch! We’ll be back in two weeks with Episode 20!